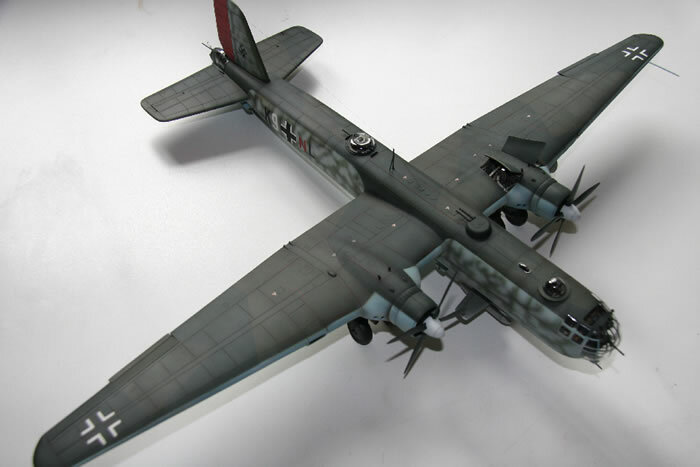 Here is MPM 1/48 scale Heinkel He 177 finished as a Hs 293 test bed used by the Reichsluftfahrt Ministerium (RLM). 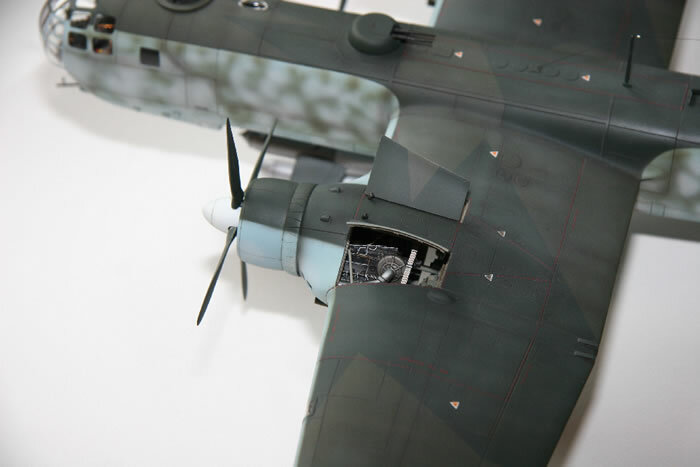 As with most MPM kits, building the kit requires a lot of test fitting in order to achieve a good result. 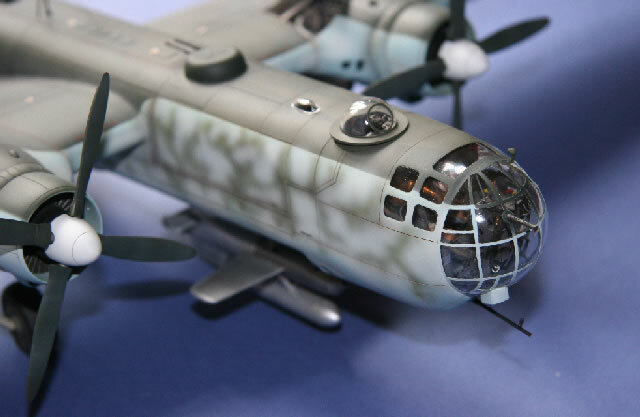 The large transparent nose section particularly is not forgiving and I had to glue the whole nose section under constraint to minimize the gaps and avoid a long session of sanding and filling. 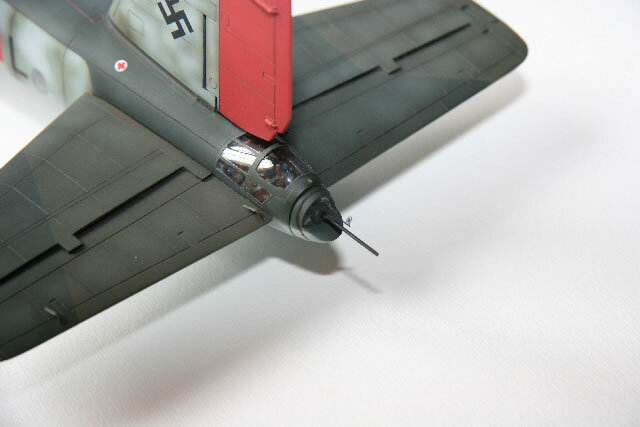 All surfaces were then sanded and all panel lines re-scribed before painting. At some places, tape was used to represent missing reinforcing metal strips (wing roots for example and some access panels). Careful study of Classic Publication and Burindo reference material helped me a lot to improve these areas. 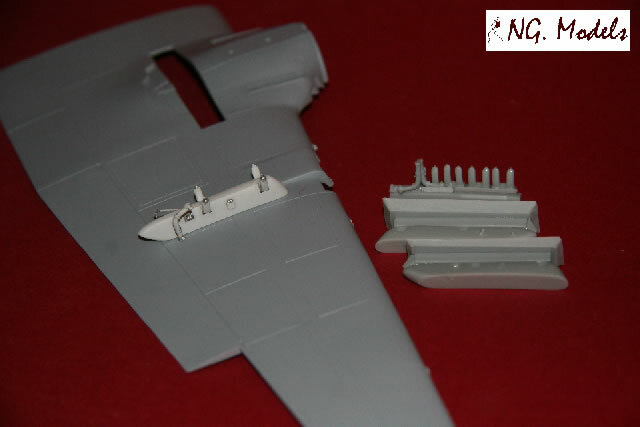 Additional level of details was also obtained using the following aftermarket items. 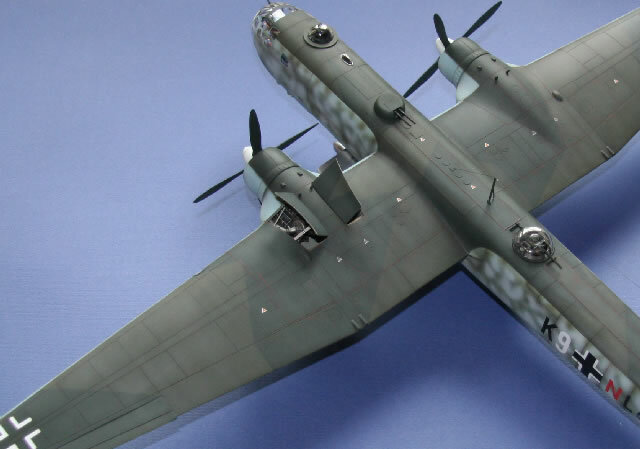 For those interested folks, I am producing this NG Models kit and still have half a dozen kits for sale (just send me an e-mail and I will send you a price list). 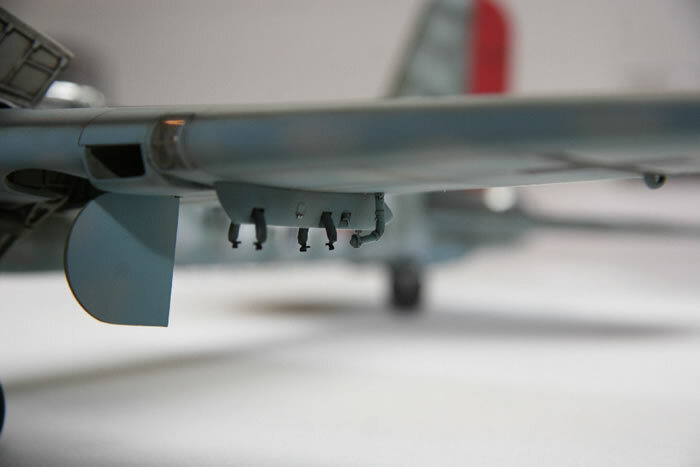 It replaces the wings bomb racks provided in the MPM box with additional details (i.e piping, clamps + stabilisers). 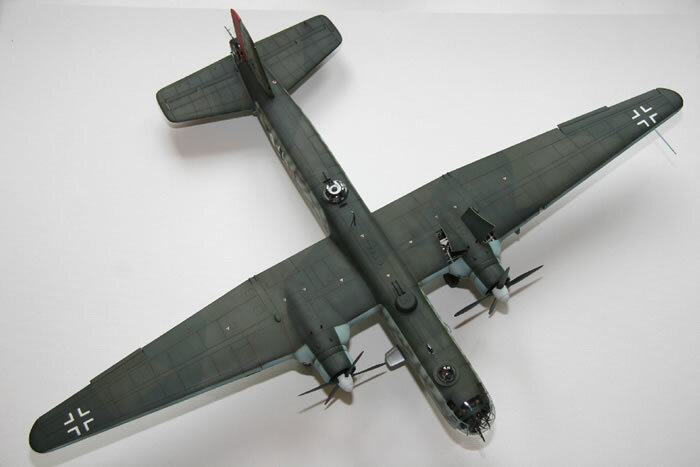 I also bought the bomb bay from CMK but realised too late that it could only represent the open bay of an A-3. 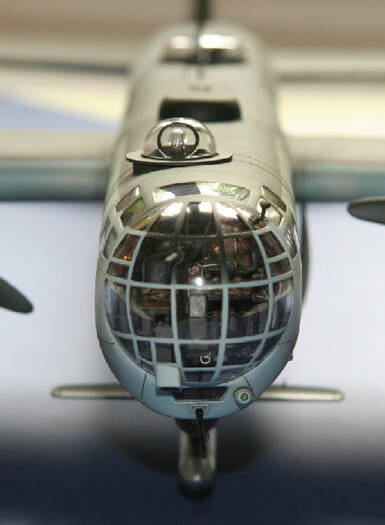 The front section was indeed used for additional fuel tanks and therefore sealed on all dash 5 Greifs. 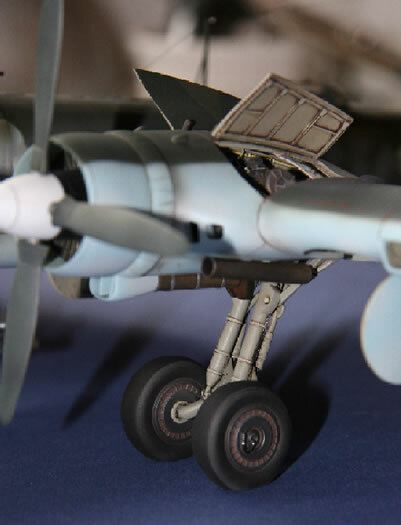 There has been a lot of discussion concerning the correct landing gear length saying that the plane was sitting too high when using the kit parts. I partly agreed on this as most pictures do confirm this statement. 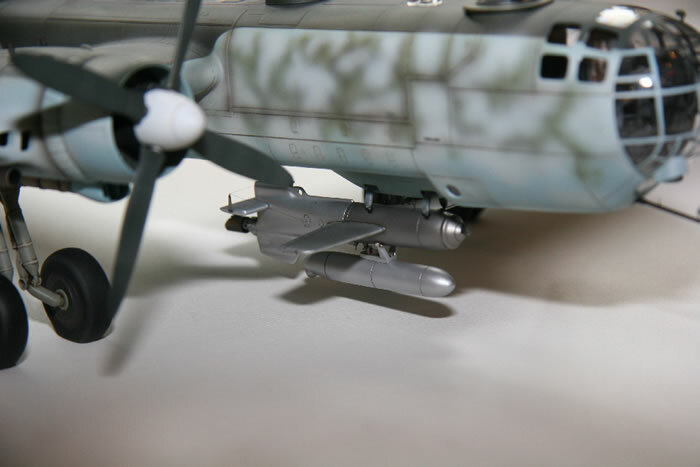 On the other hand, having such a low stand does not match with the fact that Hs 293 flying bomb had to fit under the front section of the bomb bay. Were there some variation in the landing gear positions (ageing material, hydraulic pressure not maintained at rest,,…) or special adjustments required when using Hs 293 in that position? I do not know and I did not find any evidence in my reference books . 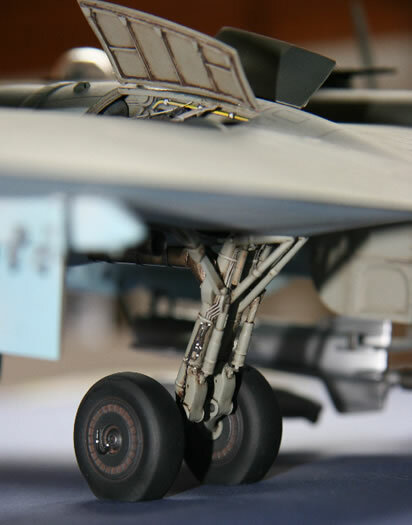 The kit landing gear legs were finally left without any correction as I wanted to have a Hs 293 fitted in the central position. 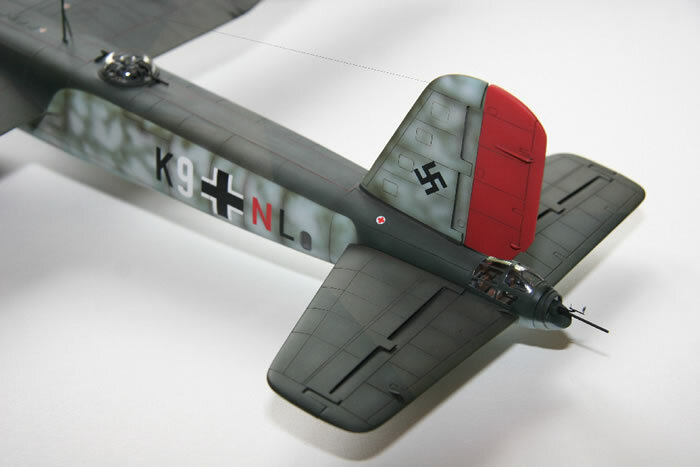 There is not much documentation concerning the aircraft I wanted to represent. 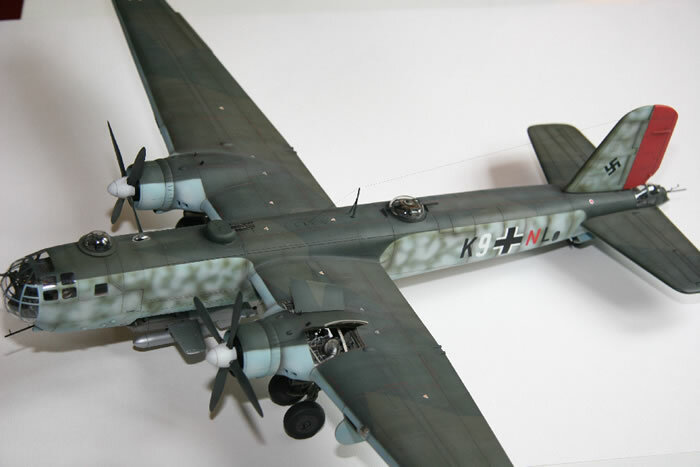 A single picture can be found in the references listed here below as well as on various web sites (http://www.afwing.com/combat/luftwaffe/he177-1.jpg) but they all remain pretty vague about which unit it was attached to and where it was based. 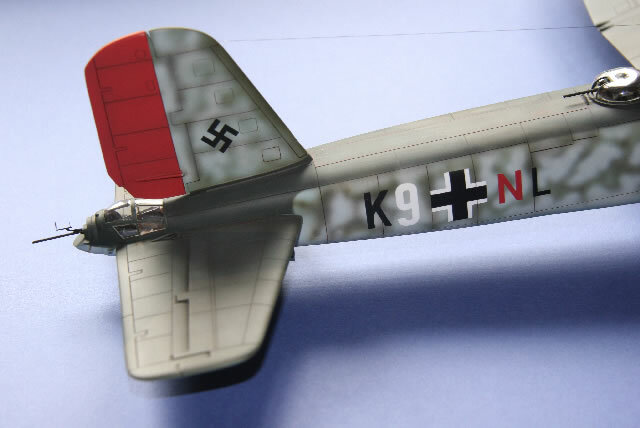 All I can say is this aircraft coded K9+NL depicts a large red area on the tail which is far from common on Luftwaffe bombers combined with a standard RLM70/71/65 paint scheme with large RLM76 blotches on the sides and bottom surfaces. Painting is done using my own mixes of TAMIYA paints and an AZTEK airbrush supported by pre shading and post shading techniques. All code numbers and crosses are painted. The former K9+NL code has been designed on a computer and used to cut my own vinyl self adhesive masks from my trusty cutting plotter. 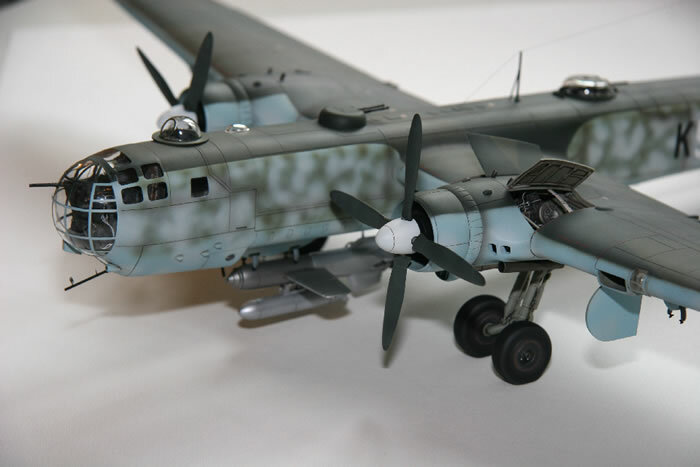 A black and burnt umber oil wash was finally passed though the panel lines. Water based Flat varnish comes from the Golden Artist Colors range. 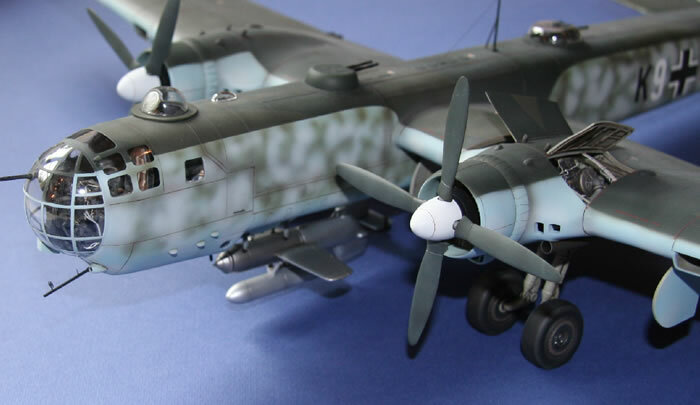 Building this kit was definitely not “Shake ‘N Bake” and it surely cannot be recommended to beginners … BUT do not hesitate and go for it if you are willing to have a very impressive kit in your collection of Luftwaffe aircrafts.